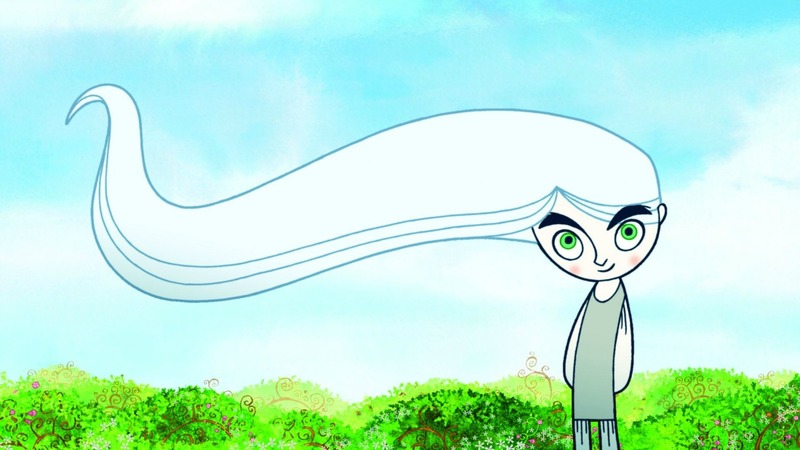 A breathtakingly unique animated film – an instant classic. Many different visual styles come together to make something truly spectacular. 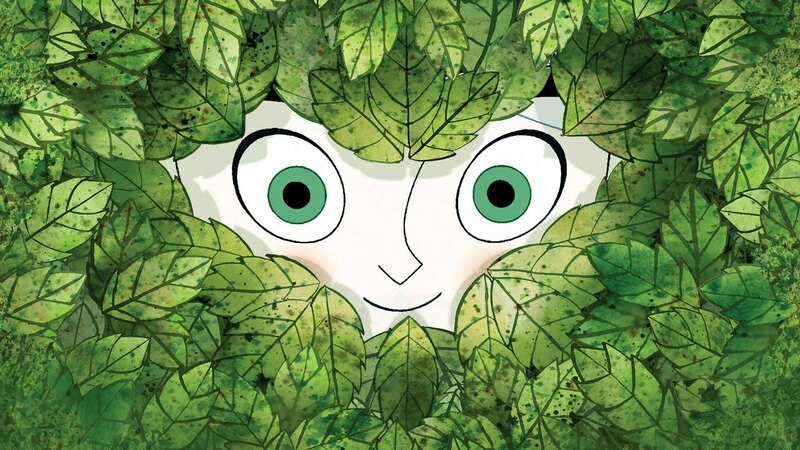 My daughter has seen a great many movies, being the child of a movie geek (and a patient mom…), but once we watched The Secret of Kells earlier this year, it jumped into her number one slot. 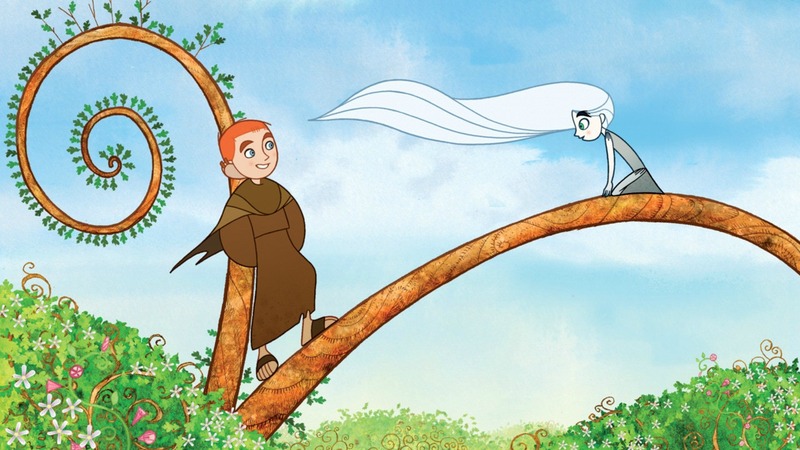 Young Brendan (Evan McGuire) is being raised as a monk by his uncle Cellach (Brendan Gleeson), Abbot of the Abbey of Kells in medieval Ireland. Cellach fears the Vikings and spends all of his time fortifying the Abbey. The work of building a great wall has caused him to give up his work as an illuminator, the gifted artists who create ornate decorated manuscripts. Brendan tries to please his uncle, but he yearns to become an illuminator and spends all of his time in the monastery’s scriptorium. 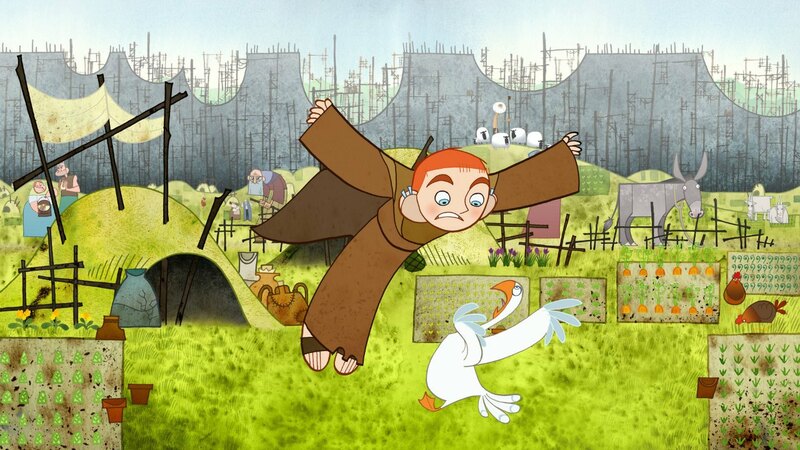 When master illuminator Aidan of Iona, fleeing the Vikings, comes to Kells, his work will tempt Brendan to learn more of the world and sneak out of the Abbey into the nearby forest in search of ingredients to make inks. There he meets the mysterious Aisling (Christen Mooney), who protects the forest and helps Brendan, as does Aidan’s cat Pangur Bán. As Brendan struggles to find his path, the appeal of the film for kids is obvious. This isn’t an art movie, despite the sumptuous visuals. Disney could have (should have) made a picture like this. It’s a classic animated film. One of the driving forces behind making this film was to emulate the great work done by Hayao Miyazaki, as well as the traditional art inspired films like The Thief and the Cobbler and Disney’s Mulan. 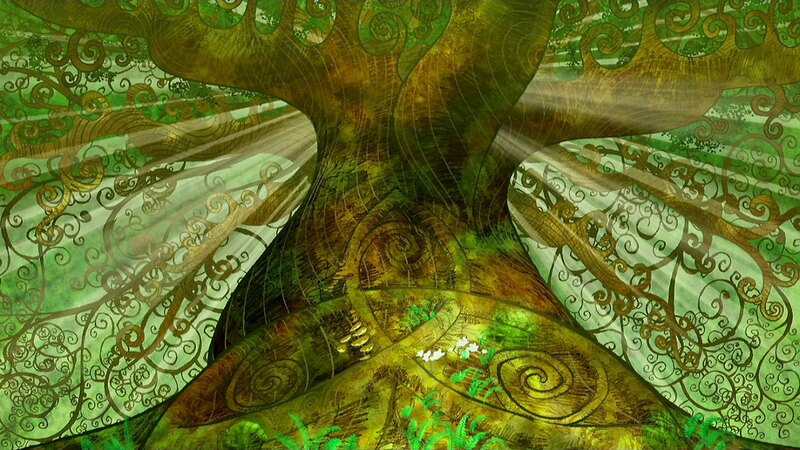 The idea that animated films based on the traditional art of their respective cultures might be interesting was an inspired one, no matter who you credit, and using the gorgeous artwork of medieval Ireland and the Book of Kells is a masterstroke. Scholars and art historians will find plenty to sink their teeth into here as the film directly incorporates elements of the Book of Kells. For the rest of us, it’s simply a strikingly beautiful film. 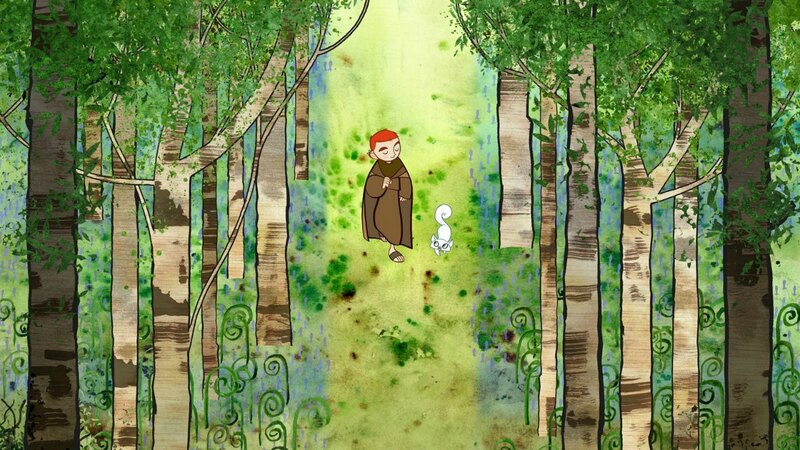 It’s hard not to over-focus on the visuals of The Secret of Kells. The movie is more than just the look of the thing. It’s a very good story with all of the classic conflicts of loyalty, caring, tradition and finding your own way. It just so happens to also be among the most refreshingly original and lovely films you’ll ever lay eyes on. 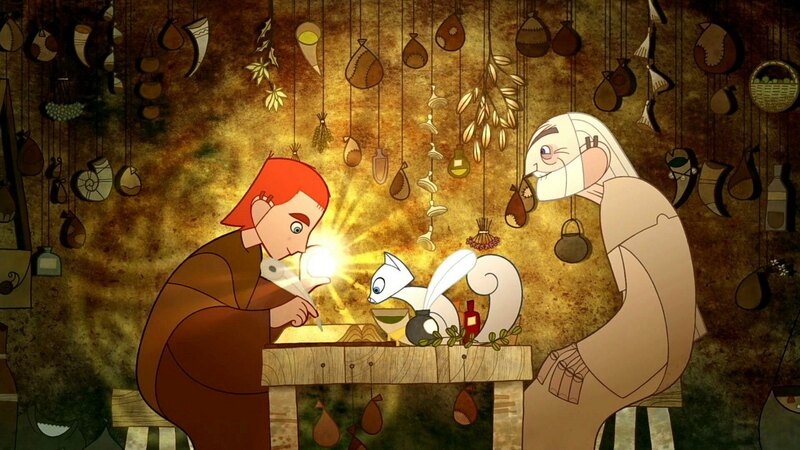 The animated story of the boy behind the famed Book of Kells. 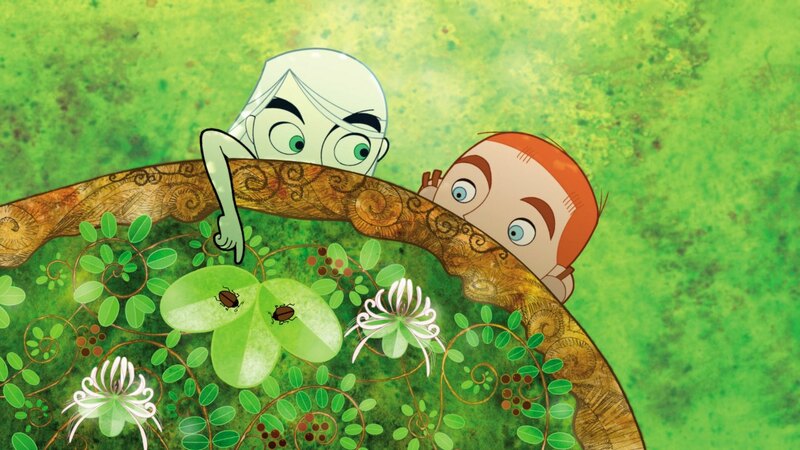 Plot The animated story of the boy behind the famed Book of Kells.